Probably more stretch glass than Carnival, Diamond Optic was produced in a variety of shapes and colors in the 1920s. 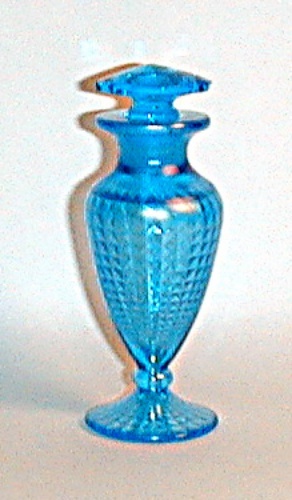 Fenton made two different Diamond optics, one is similar to the Northwood design and the other is much different – smaller and sharper to the touch. This smaller Diamond Optic is primarily found in candy jars, vases & perfumes and these items are highly sought after by collectors. 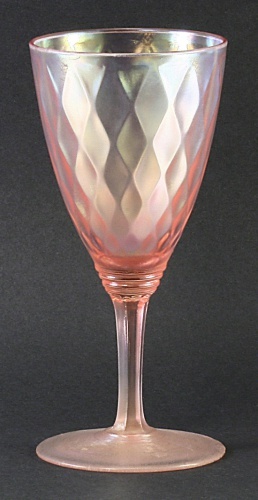 Northwood's diamond optic pattern is called Concave Diamonds by carnival glass collectors. You can see much more about the stretch ‘Optic's' in the Hooked on Stretch section of the website.